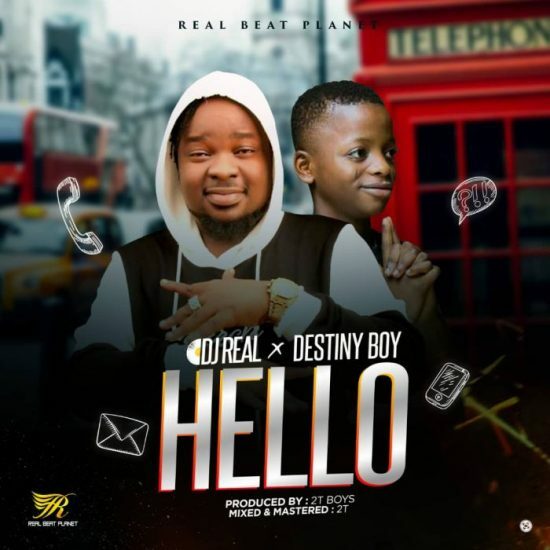 Emir of Alaba 1, DJ Real teams up with the Agege wonder kid, Destiny Boy to bless us with a new single entittled “Hello”. They employed the service of 2TBoys for the energetic production of this jam! This synergy is one we haven’t witnessed from a DJ and Artiste before. Checkout Hello! !